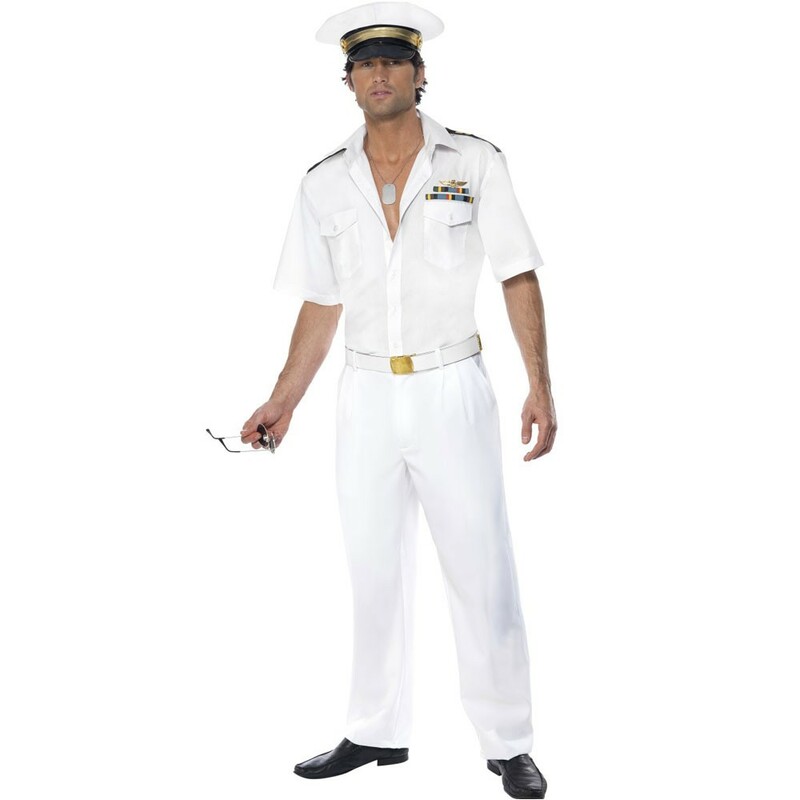 This licenced Top Gun Captain includes Shirt, Trousers, Belt & Hat. Available in two sizes. Ideal for 80s or uniform themes! 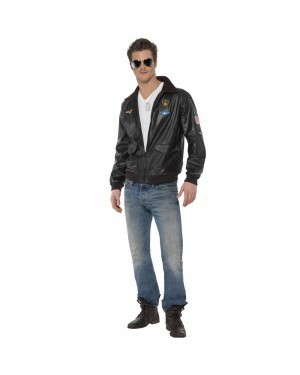 This officially licenced Top Gun Captain Costume is perfect to transform into this slick character! An ideal outfit for 80s, movie themes or any fancy dress occasion. The costume includes Shirt, Trousers, Belt and Hat. The shirt has great detail including epaulettes, captain stripes and a gold effect ‘Top Gun’ badge, as pictured. The shirt has two functional pockets and button fastening and is in a soft white cotton material. The trousers and hat are in matching white cotton. The hat has a shiny black peak with gold detailing. A white faux leather belt with a gold buckle perfectly complete this slick outfit! Licenced Top Gun Captain with Shirt, Trousers, Belt and Hat. Please note that the aviator glasses are not included.